I’ve had a busy couple of weeks since my last update. Last week I was able to host Rep. Steve Womack from Arkansas for a tour around our district. Rep. Womack is the Chairman of the House Budget Committee and the Co-Chair of the Joint Select Committee on Budget and Appropriations Process Reform, where I also serve. When I’m out and about in our region, people often say, “Why can’t members of Congress make the effort to try to work together?” I agree. In fact, both Rep. Womack and I agree that the best way to find common ground is to seek it. So, I invited him to come visit with us for a couple of days. It was a pleasure to get to know him better by showing him where I grew up and bringing him to some of the best parts of our unique region. The budget decisions Congress makes directly impact our region's economy and thousands of the region’s families. Far too many times, for far too long, Congress has chosen a path of partisanship and gridlock rather than deliver on its essential duty: passing the budget. And that’s a big problem for our region’s economy. With that in mind, a big focus of our “excellent adventure” was visiting areas most effected by Congressional inaction. 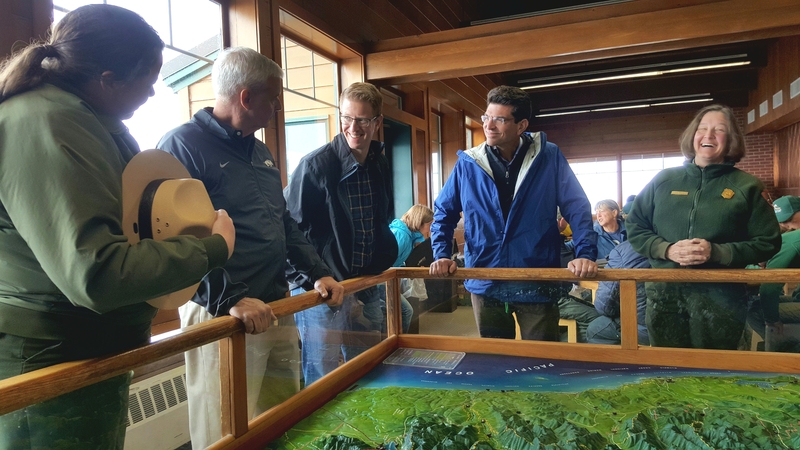 Our visit started with a trip to Olympic National Park where Rep. Womack and I received an update on the backlog of park maintenance projects at Olympic National Park and throughout the National Parks Service. The National Park Service cannot address the $12 billion backlog of maintenance projects throughout the system until Congress finds a long-term way to pay for the work. According to the Pew Charitable Trusts, a non-partisan group working on the backlog, Olympic National Park has a to-do list worth about $120.7 million that includes modernizing sewer systems, paving roads, restoring buildings, keeping trails ready for millions of visitors, and fixing up water fountains so folks can get a refill before their hike through the Hoh rainforest. That’s a big deal because our state’s parks are a big driver of Washington’s outdoor economy. In 2017, the 8.4 million people who visited national parks in the state of Washington spent $508 million in the communities around the park. And overall, our State’s outdoor economy created 201,000 direct jobs and generated $26.2 billion in consumer spending. And I find this stat pretty cool: each $1 Congress invests in our National Parks returns $10 to the local economy. That’s a pretty amazing return on investment. That’s why I recently co-introduced the bipartisan Restore our Parks and Public Lands Act which would supply the National Park Service and the other federal agencies responsible for maintaining public lands with the funds they need to address the backlog. The bill cleared an important hurdle last week when it passed out of the House Natural Resources Committee. I’m going to make a big push on it this fall and try my best to get it over the finish line. My colleague was impressed with the beauty of our region (though he did complain a little when Hurricane Ridge lived up to its name on a windy, 37-degree morning). After the update from park officials, members of the Lower Elwha Klallam Tribe including Chairwoman Frances Charles joined us as we viewed the Elwha River restoration project. The next morning, the tour continued at the Port of Tacoma. I brought Rep. Womack to the Port because it is such an amazing economic driver to our region (and because I wanted to see how well he could handle the controls of a crane!). 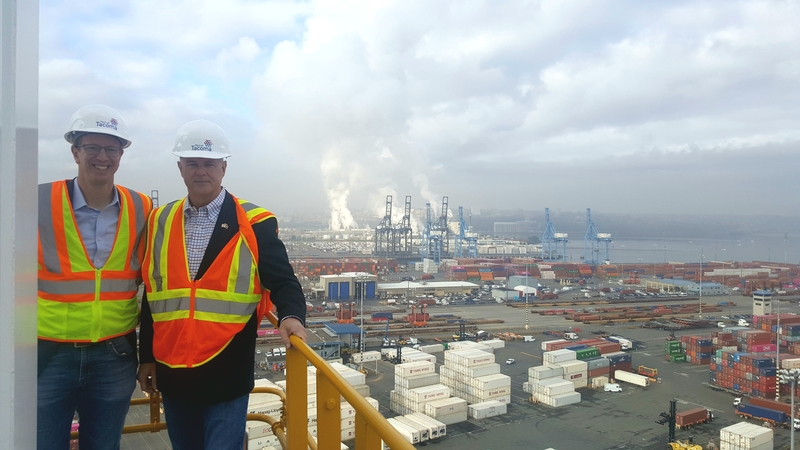 The Northwest Seaport Alliance, (which also includes the Port of Seattle) is responsible for 22 percent of the container imports that end up in Rep. Womack’s home state of Arkansas. While Rep. Womack and I are in different political parties, we both think Congress should make smart investments in infrastructure that would help speed commerce at the port, enable ports to accept larger container ships, and ease the congestion that impedes freight mobility. I have a sign on my wall in my office in Washington, DC that has a picture of the Port of Tacoma and it says, “We are competing with everyone, everywhere, everyday forever.” I think Congress ought to take up that attitude and stop dilly-dallying on infrastructure investment. This is a big deal for our economy. 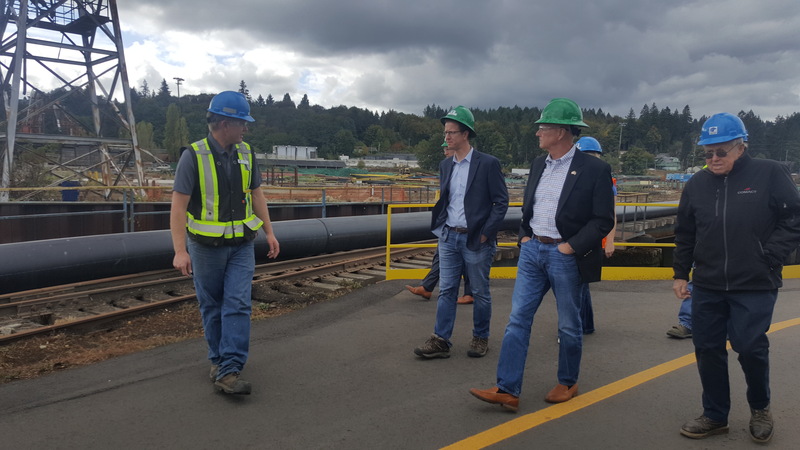 After the Port visit I brought Rep. Womack to celebrate the opening of a new Sierra Pacific Industries mill in Shelton. At the event I talked about how the company’s investment in the mill is an investment in the tradition of forest products that’s part of the proud history of our region. This mill is an acknowledgement that this industry has been - and will continue to be - an important leg of our economic stool. There are a lot of exciting new opportunities on the not-so-distant horizon for our timber economy. A few weeks back, you may have seen my update about the innovative partnerships between conservationists and timber workers that’s leading to sustainable forest management practices which protect and expand habitats while also extending the number of board feet forests can produce. Our effort is called the Olympic Forest Collaborative, and you may remember an update on their work from my early August newsletter. Some more good news on this front: last week, the House of Representatives passed a bipartisan spending bill which included some top priorities of mine, one of which was directing the Department of Defense to expand the use of advanced wood products in the construction of military facilities. I’ll keep pushing for our Timber 2.0 economy. 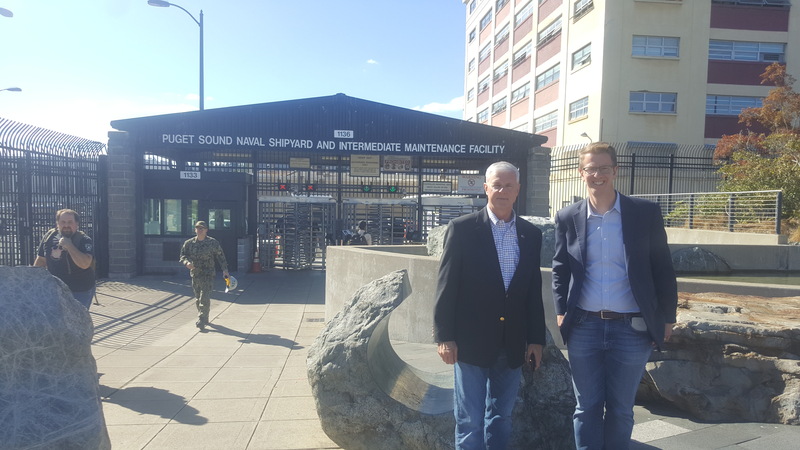 My last stop with Rep. Womack was the largest employer in the district I represent - Puget Sound Naval Shipyard. When gridlock shuts down the government, tens of thousands of federal workers at the shipyard and throughout the region receive furlough notices, the maintenance happening at the shipyard is delayed, and government funds are wasted temporarily stopping and starting projects. Defense workers, military members, and taxpayers deserve a smarter approach. 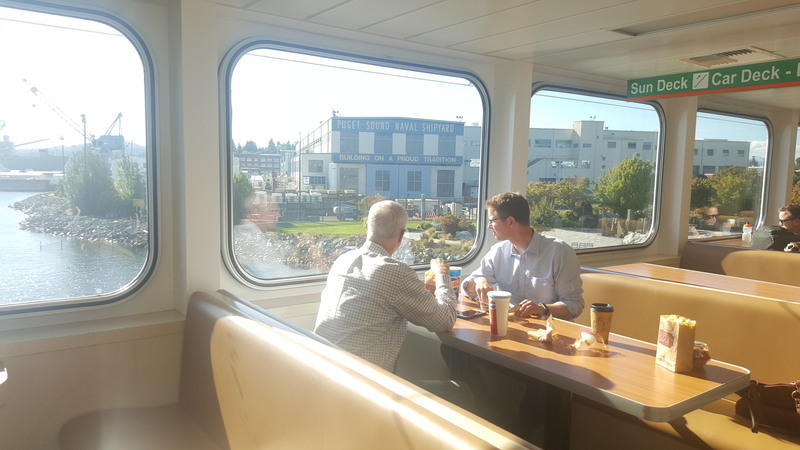 To close out the tour, Rep. Womack and I shared a meal on the ferry where we discussed some of our efforts to improve the budget and appropriations process. After a government shutdown earlier this year, Congress created the Joint Select Committee on Budget and Appropriations Process Reform. And, as I mentioned at beginning, Rep. Womack is the co-chairman of the Committee, and I’m a member of it too. I’ll be seeing him again very soon, because the committee is due to start presenting ideas to fix the budget process. I touched a bit more on the committee’s work a few weeks ago. The House is a fixer upper in more ways than just the budget process. Last week, I testified before the House Committee on Rules with some ideas I have that I think will lead to more debate, give the people more of a say, reduce the role of special interests, and make Congress work as hard as the people it represents. You can watch my testimony here. Thanks to Mickey Traugutt, Leslie Mayne, and all of the amazing speakers who I got to hear at the Permission to Start Dreaming Foundation Prayer Breakfast. The work they are doing to support soldiers and first responders is important and inspiring. 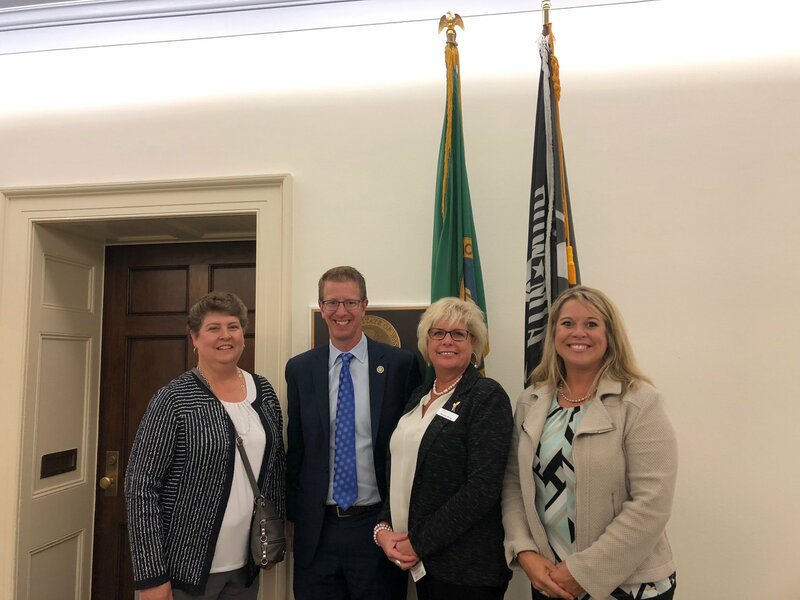 I recently spoke with farmers from our state with the Washington Association of Wheat Growers. You might be surprised to know that we export 90 percent of the wheat grown in Washington to other countries. When we met, I shared my view that America should be creating smarter trade policy that lets us export what we grow -- not our jobs. We also talked about how Congress must pass a bipartisan Farm Bill. 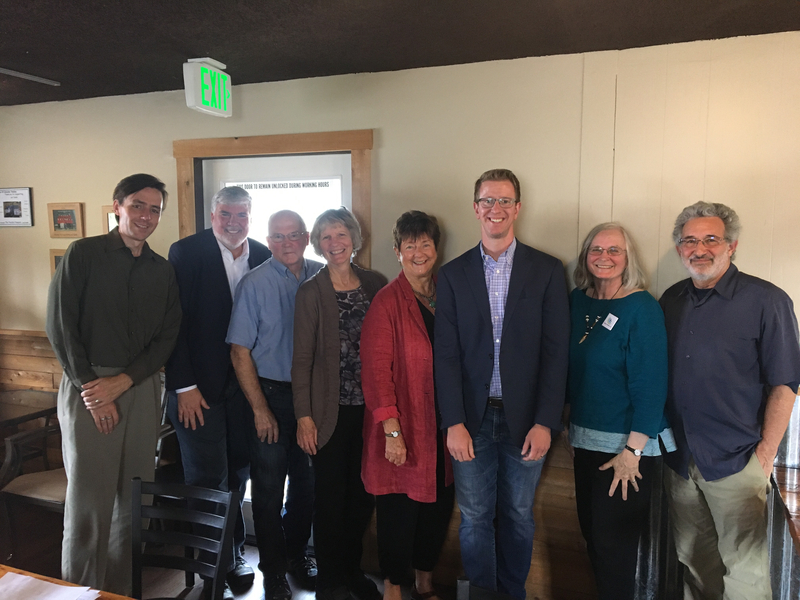 I also had the chance to meet with the Citizens Climate Lobby. We talked about how protecting the environment and fighting against climate change is really a fight for our region's economy and identity. It’s time for politicians in DC to stop letting special interests stand in the way of progress. 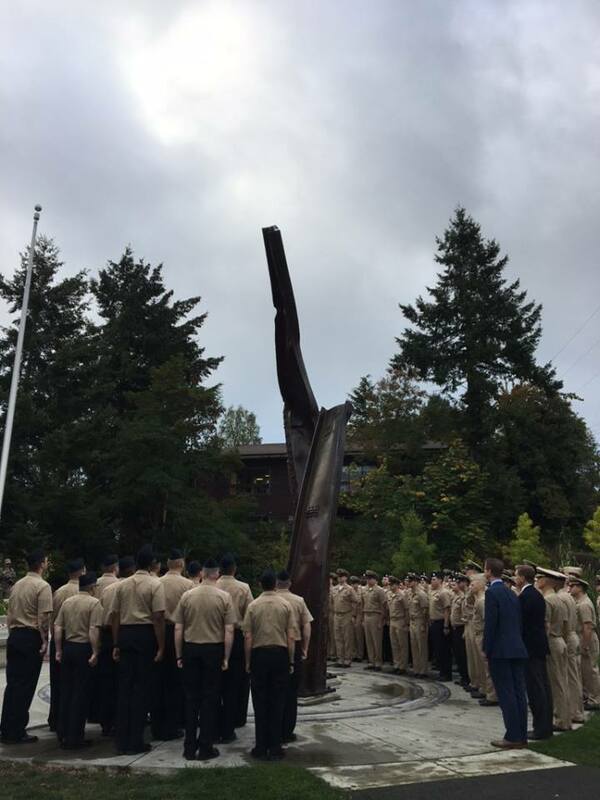 Thank you to the men and women of the US Navy’s COMSUBDEVRON FIVE for hosting such a powerful 9/11 commemoration ceremony in Bremerton on September the 11th. 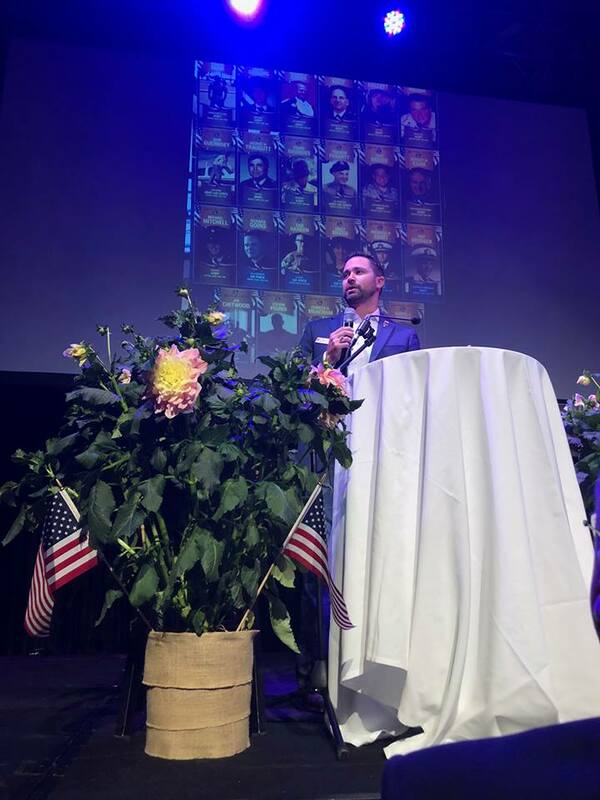 I was honored to attend it and remember those who were lost and those who carry on. That’s all for now. As always, feel free to connect with me if I can be of assistance. It’s my honor to represent you.